A Better View offers a flexible range of professional cleaning services in Ipswich Suffolk and Cambridge for all domestic and commercial customers. Our close relationship with clients, the highest standard of cleaning services and competitive rates help us grow quickly. We have expanded our cleaning service list and now offer a range of cleaning services such as bi-weekly cleanings, carpets and upholstery cleaning, organic cleaning, domestic cleaning, spring cleaning, after builders cleaning, one off cleaning, after party cleaning, caravan cleaning, oven cleaning, office cleaning and window cleaning in Ipswich and Suffolk. We hire cleaners who are highly motivated and reliable. Our representatives are trained and experienced cleaners, therefore we are confident you will receive the service you need. We specialize in variety of domestic and office cleanings. Some of our popular services are end of tenancy cleaning, regular domestic cleaning as well as carpet and upholstery cleaning, window cleaning. In the busy lifestyle you can enjoy more free time with our services. Our guarantee is part of our commitment to our customers. We want our customers to be satisfied with the standard of cleaning we perform, and we welcome your comments to help us increase customer’s satisfaction. Excellence and Innovation: We provide training to our cleaners in order to ensure the high standard of service. We stay up-to-date on the latest innovations in eco-friendly products and technologies, allowing us to bring the best in to our clients’ homes. Choose us because of our reputation for excellence. For more than 10 years, we’ve earned a name for quality and customer service. The homeowners we serve rely on us for professionalism, high attention to details, consistent cleaning services. 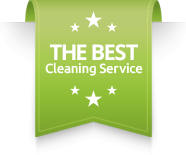 The experts at A Better View are committed to providing thorough house cleaning services for our valued customers in Ipswich, Suffolk and Cambridge. In order to accomplish this goal, we adhere to strict standards that remain consistent across the board. Our company is fully insured, which means you can have peace of mind when you hire us as your cleaning company. Helping our customers feel confident in our services is very important to us. It means every individual hired of A Better View goes through a thorough screening process, and then is trained in every aspect of our home cleaning services. This ensures high-quality service every time. A Better View service is the key to keeping a beautiful home while making more time for yourself and the things you love most. Contact us for a FREE estimate. A Better View strives to provide the highest level of quality, service and value to each and every customer. If you are not completely satisfied with our service, please inform us within 24 hours of your clean so we may resolve the situation.